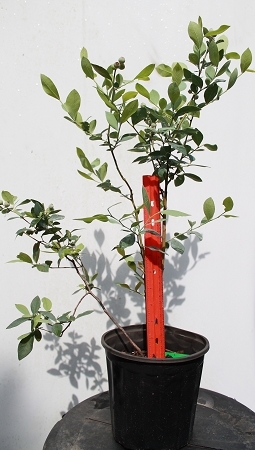 Our Rabbiteye Variety Bluberry Plants are 1-2 ft tall and are well rooted. 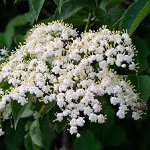 These plants grow on average 1-2 ft. per year and will reach a mature size of approximately 8-10 ft tall by 8-10 ft. wide. 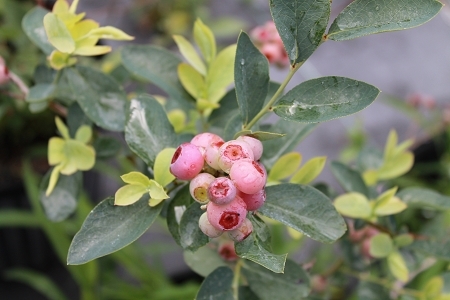 Once established, Rabbiteye Blueberries are drought tolerant plants. The recommended zones for Rabbiteye Blueberries are 6-9. 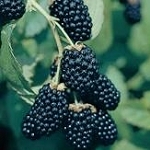 (We have a Zone map on our webpage) Our Blueberrry plants are in 1 gallon containers. We ship container plants to protect the root system during the shipping process. We recommend 2 or more plant varieties to ensure a higher yield of berry production. Varieties shipped will be based on current availability. Be sure to click on our Planting Instruction Link for planting instructions located at the top of our home page. Please read below for quick facts on this plant. I received my blueberry plants last week and was very pleased with what I saw. The plants were moist and look very healthy. These are an excellent deal too! Will definitely purchase from your store again. Thanks! I ordered 15 blueberry plants and received them in a reasonable time. They were very well packaged to prevent being damaged. All arrived in very good condition. They were also larger plants than expected. I am very pleased with this transaction.